Whether it’s the first day of kindergarten or starting at a new school, the first day of school can be a daunting day for children as they face uncertainty about friendships, expectations and unknown class routines. Reading picture books about starting school can create opportunities for children to discuss their fears and concerns, as well as talk about all the wonderful new things they are about the experience. Encouraging your child to ask questions and talk about their expectations will offer opportunities for you to calm their fears and help them to look forward to this new adventure. 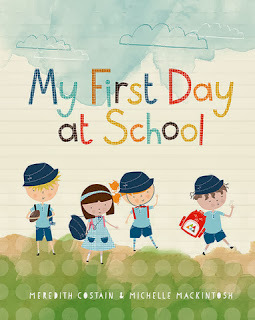 My First Day at School by Meredith Costain and Michelle Mackintosh, Windy Hollow Books, $25.95, 9781922081254. KBR review here. 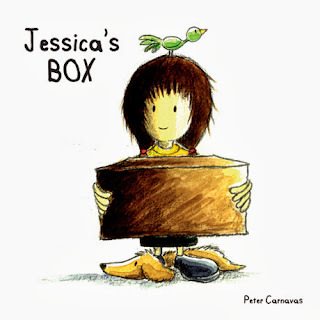 Jessica's Box by Peter Carnavas, New Frontier Publishing, $24.99, 9781921042911. KBR review here. 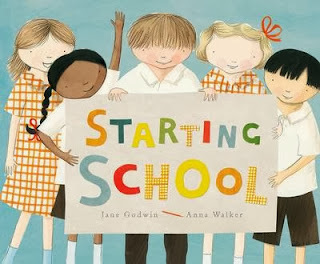 Starting School by Jane Godwin and Anna Walker, Viking, $24.99, 9780670076765. KBR review here. 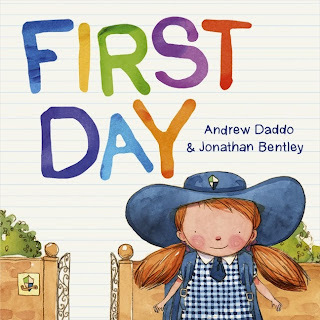 First Day by Andrew Daddo and Jonathan Bentley, ABC, 24.99, 9780733331206.KBR review here. 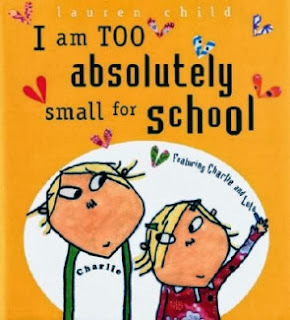 I am Too Absolutely Small for School by Lauren Child, Orchard Books, $14.99, 9781846168857. 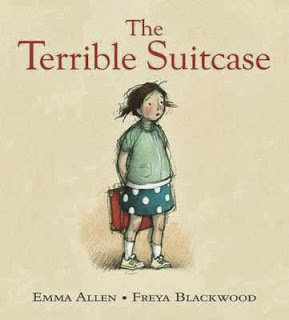 The Terrible Suitcase by Emma Allen and Freya Blackwood, Scholastic, $19.99, 9781862919624. 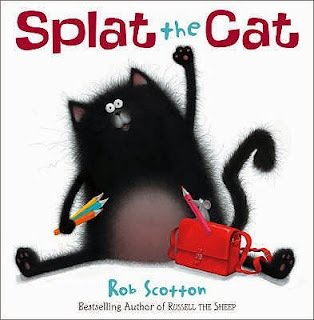 Splat the Cat by Rob Scotton, HarperCollins, $14.99, 9780007284542. 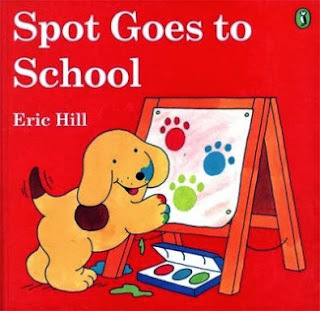 Spot Goes to School by Eric Hill, Puffin Books, $12.99,9780142401675.